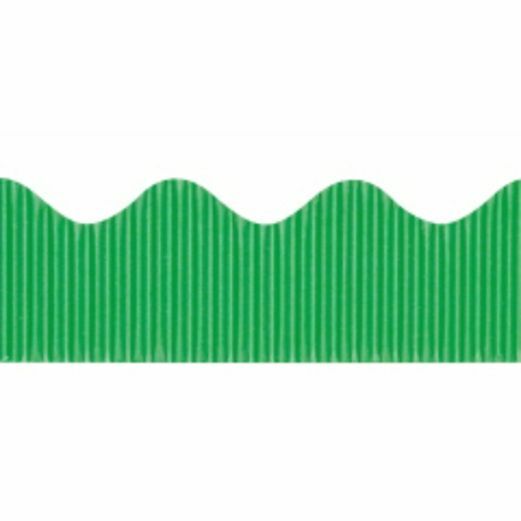 Our Apple Green Bordette is a scalloped decorative border made out of corrugated paper. Use this apple green bordette to decorate any bulletin board or display border to create a framed edge. Size: 25' long x 2.25" wide.